Urgent Care for Kids, McKinney is a pediatric urgent care center serving the children, adolescents and young adults in Mckinney with extended hours, making them a great option 7 days a week when your child's primary care office may not be open. You can find this clinic located at 1872 N Lake Forest Dr and patients can walk in to see them today from 12:00pm to 9:00pm (last verified on 2018-08-10). 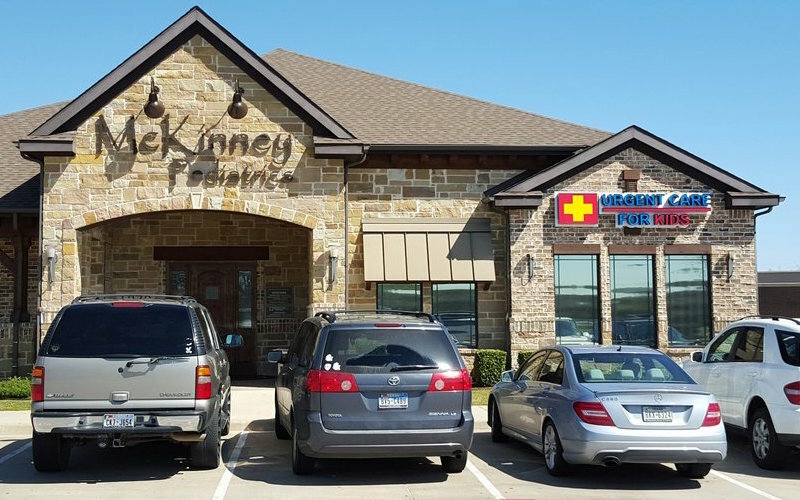 Recognized favorably amongst their patients, Urgent Care for Kids, McKinney has an average rating of 5.0 stars out of 5 based on 2 total ratings. Nationally, most pediatric urgent care patients see average wait times between 15-30 minutes before being seen by a provider, which should be expected at Urgent Care for Kids, McKinney as well. As part of the group, they have a in miles away that you may want to consider if the wait gets too long. I always have a great experience with this team, they are professional, quick and helpful. Anytime I need urgent care for my kids, I take them here! Always a painless visit.